Rink DaVee and Jenny Bonde’s Shooting Star Farm will host an Outstanding in the Field event Sunday, August 4th. 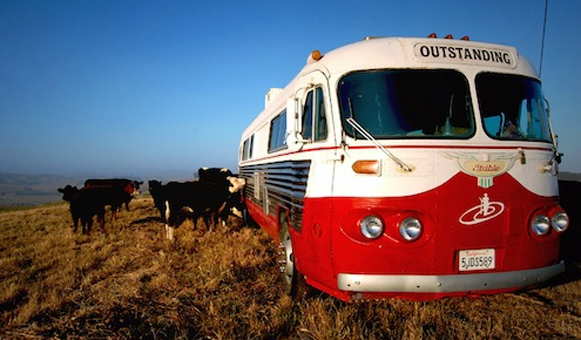 If you have never heard of Outstanding in the Field, first imagine a dinner party for 150. 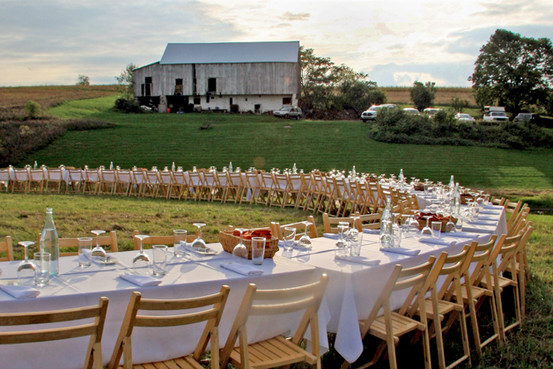 Then bring in six courses of local food prepared on-site by a celebrated chef. (In this case Tory Miller of L’Etoile and Graze, where Shooting Star Farms’ heirloom tomatoes are often featured on the menu.) Finally, add wine, and a really long table placed right in the field. Scenes from Shooting Star Farm. 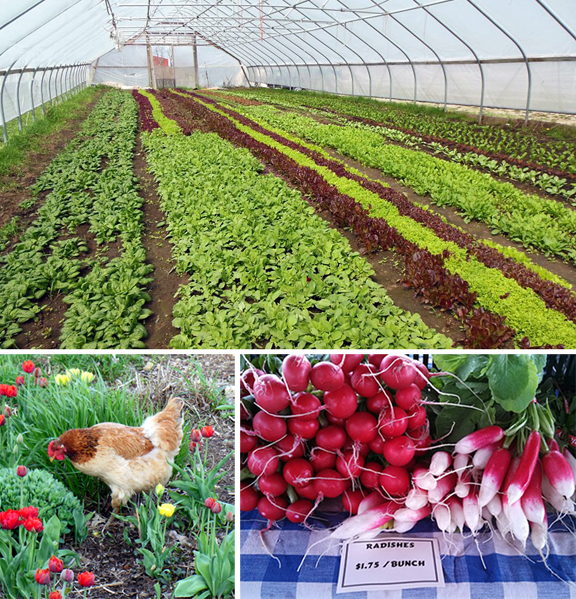 With Outstanding in the Field, “you have the whole farm-to-fork cycle in front of you,” says Rink DaVee, who, in addition to running Shooting Star Farm with wife Jenny and son Charlie, manages Green Square, an online marketplace that sells food and other local products from Southwestern Wisconsin. And the preparation for this massive dinner party? This entry was posted in Food and tagged Graze, Green Square, Jenny Bonde, L'Etoile, Mineral Point, Outstanding in the Field, Rink DaVee, Shooting Star Farm, Tory Miller, Wisconsin. Bookmark the permalink. Oh, Rink & Jenny, we are so happy your event sold out so quickly! It sounds wonderful!